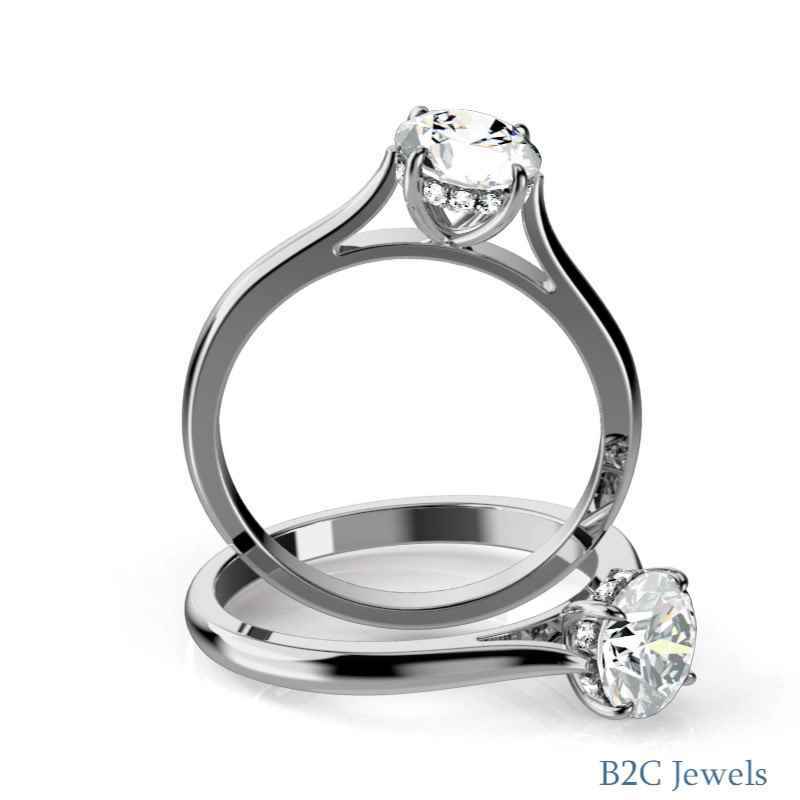 This classic solitaire is created to hold the center diamond of your dreams. Eagle claw prongs gracefully emerge from the subtle curves of the cathedral silhouette while a glittering halo of diamonds delight the eye. Tucked away under the dazzling center stone, the expertly crafted basket design makes this engagement ring a treasure to behold. Minimum Carat Weight(ct. tw.) : 0.05 cttw. The item details stated are for a one carat Round center diamond and will vary for center diamonds of different shapes and carat weights.